Tumor metastasis is the main cause of cancer-related deaths of patients. 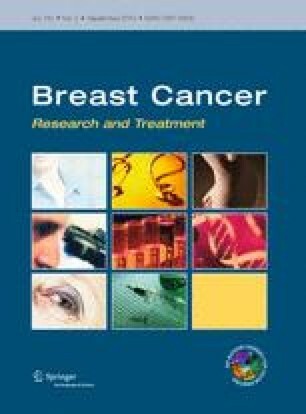 Breast cancer is highly malignant with considerable metastatic potential, which urges the necessity for developing novel potential drug candidate to prevent tumor metastasis. Here, we report our finding with Cucurbitacin E (CuE, α-elaterin), a tetracyclic triterpenes compound isolated from Cucurbitaceae. The potency of CuE on breast cancer metastasis inhibition was assessed in vivo and in vitro. In our animal experiments, intraperitoneal administrations of CuE significantly inhibited breast tumor metastasis to the lung without affecting apoptosis or proliferation of inoculated 4T1 and MDA-MB-231 breast cancer cells. Treatment of metastatic breast tumor cells with CuE markedly blocked tumor cell migration and invasion in vitro. Subsequent studies showed that CuE impaired Arp2/3-dependent actin polymerization and suppressed Src/FAK/Rac1/MMP involved pathway. Overall, our data demonstrate that CuE blocks breast cancer metastasis by suppressing tumor cell migration and invasion. We provide first evidence of a novel role for CuE as a potential candidate for treating breast cancer metastasis. Tao Zhang and Jingjie Li contributed equally to this work. The online version of this article (doi: 10.1007/s10549-012-2175-5) contains supplementary material, which is available to authorized users. This study was partially sponsored by the Major State Basic Research Development Program of China (2012CB910400, 2009CB918402), National Natural Science Foundation of China (30930055, 30971523, and 81071807) and The Science and Technology Commission of Shanghai Municipality (11DZ2260300 and 12XD1406100). We thank all members in Dr. Mingyao Liu’s lab in Institute of Biomedical Sciences and School of Life Sciences, East China Normal University.